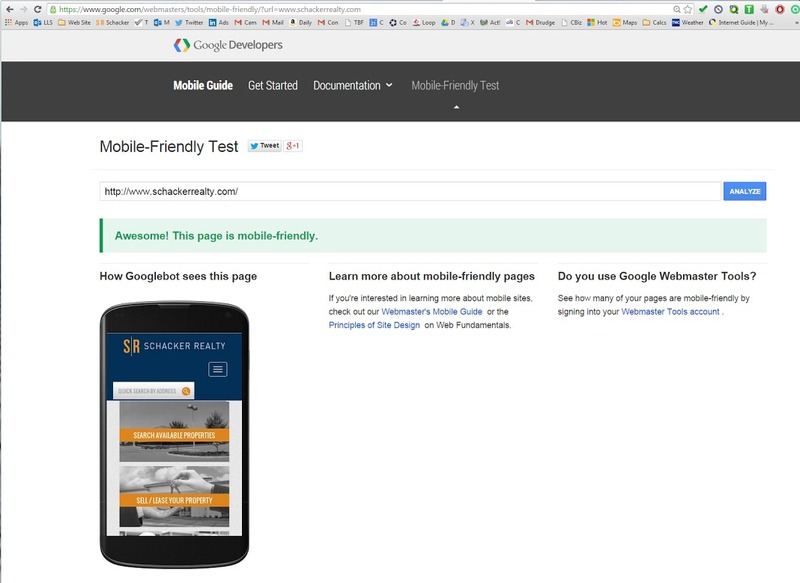 Schacker Realty is proud to announce that its new web site at www.schackerrealty.com has been identified as “mobile-friendly” by Google, Inc. This means that the site has passed Google’s stringent tests to ensure that our powerful property-searching tools and other helpful information can be easily accessed by users of mobile devices such as smartphones and tablets. At Schacker, we’re constantly innovating to provide the highest level of commercial & industrial real estate services to Long Island’s growing businesses, and providing the best possible mobile web experience is another example of our commitment to our clients. Try our new web site at www.schackerrealty.com today or call us at 631-293-3700 to buy, sell or lease a commercial property.